MV Cape Ray arrives in southern Italy for the transfer and destruction of 1,300 tons of Syrian chemical weapons. The U.S. ship MV Cape Ray arrived on Tuesday in the southern Italian port of Gioia Tauro for the transfer and destruction of about 1,300 tons of Syrian chemical weapons, reports The Associated Press (AP). The 648-foot (197.5-meter) U.S. government cargo ship has been fitted with two machines designed to neutralize the most toxic chemicals, including mustard gas and the raw materials for sarin nerve gas, that were removed from Syria as part of the international effort to destroy its chemical weapons. The most dangerous chemical weapons will be transferred from the Danish vessel Ark Futura to the Cape Ray, which will move into international waters for the destruction, according to AP. Other material will be taken to toxic wastes sites in various countries for disposal. The international operation to destroy Syria’s stockpile of deadly chemicals is a joint Russian-U.S. plan that was endorsed by the UN Security Council last September. The resolution was a last-minute measure to prevent an American strike on Syria in retaliation for the regime's alleged use of chemical weapons in an attack on a Damascus suburb in August that left hundreds dead. 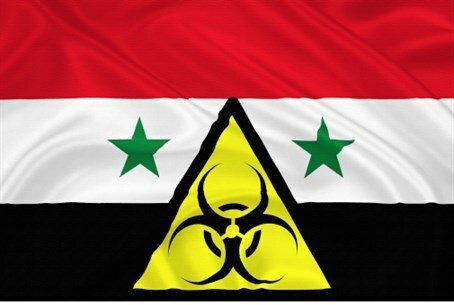 Last week, after Syria missed several deadlines in the plan to move all of its declared chemical substances and precursors out of the country, the Organization for the Prohibition of Chemical Weapons announced that the final stockpile of Syria's chemical weapons had been shipped out of the country. On the eve of the ship’s arrival, residents and even officials from Gioia Tauro and nearby towns voiced concern about potential environmental contamination as a result of the transfer and also complained that they hadn’t been told what exactly would be taking place in their backyard. “We live this situation with uncertainty and resignation because for the last four months we continued to ask for information about it but they didn’t give it,” Domenico Madafferi, mayor of the nearby town of San Ferdinando, was quoted by AP as having said. While the disarmament process is risky from beginning to end, those in charge stress that equally hazardous chemicals are neutralized on a daily basis around the world.